DOWA ELECTRONICS MATERIAL Co., Ltd. 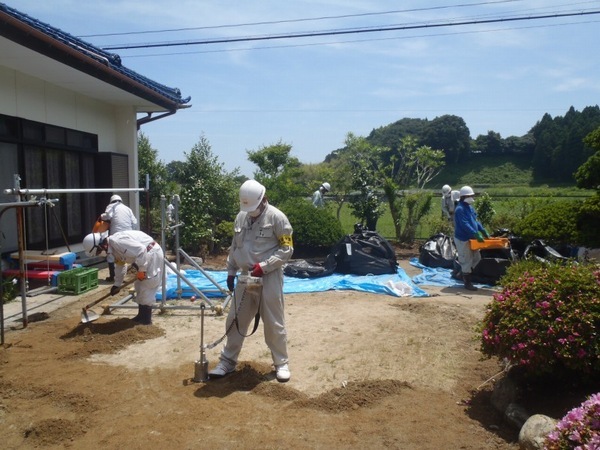 The radioactive cesium was widely dispersed owing to a nuclear power plant accident and management of decontamination waste is an urging environmental issue. 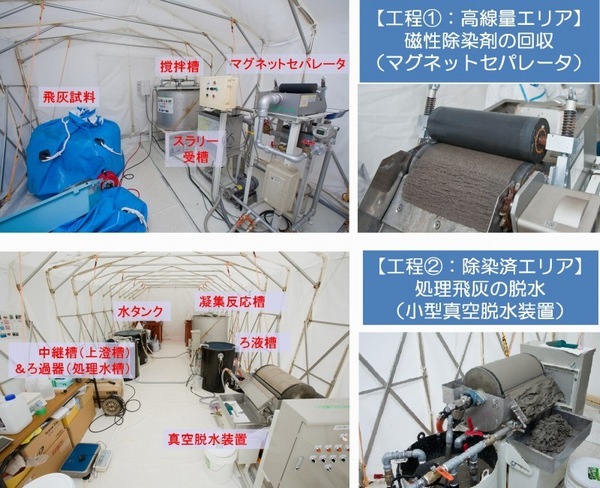 The aim of this research is to develop a fly ash-decontamination system using the newly devised cesium-adsorbent combined with small and general equipment such as a neodymium magnetic separator and a small vacuum dehydrator. 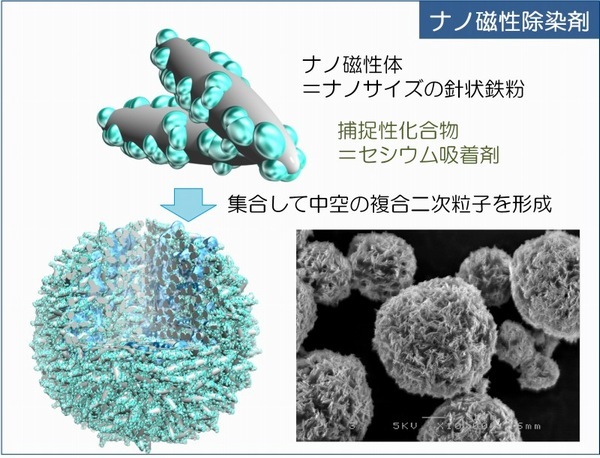 Because of its physical strength and alkali resistance, this adsorbent can be directly mixed with fly ash slurry and rapidly achieves both cesium adsorption and magnetic separation. 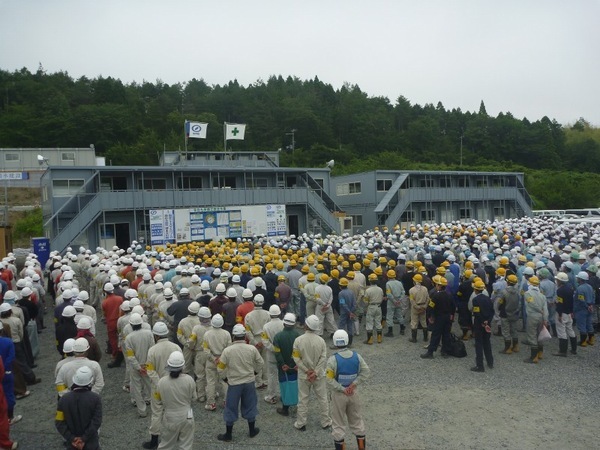 In the demonstration test, it was verified that water-soluble form of cesium was efficiently removed and the average decontamination ratio was 82%. 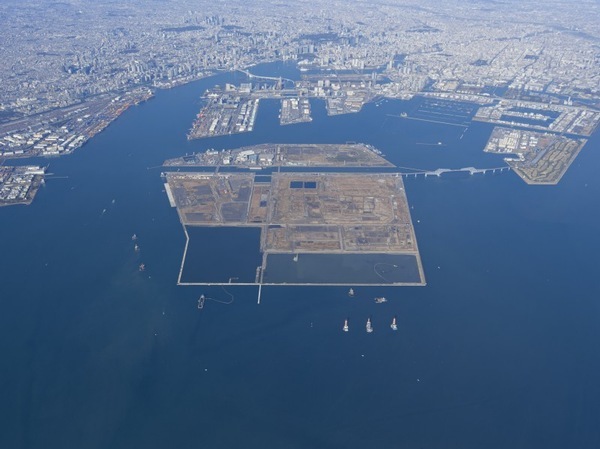 In order to ensure the comfortable lives of Tokyo residents and maintain urban dynamism, measures are taken for the Shinkaimen Landfill Site, the last piece of such reclaimed land in the Port of Tokyo, to be used effectively and safely for as long as possible. 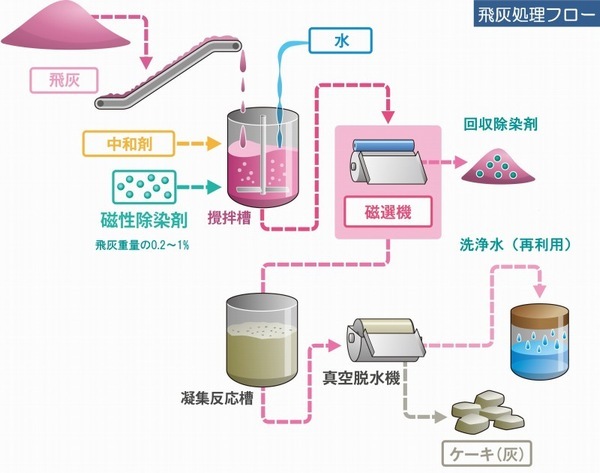 As one of the measures, a construction project for accelerating consolidation settlement of clayey soil was implemented to increase the capacity of landfill by applying vacuum consolidation drain method. After the success of trial construction, full-scale construction was implemented from 2007 to 2015 by the area of 383,000m2. 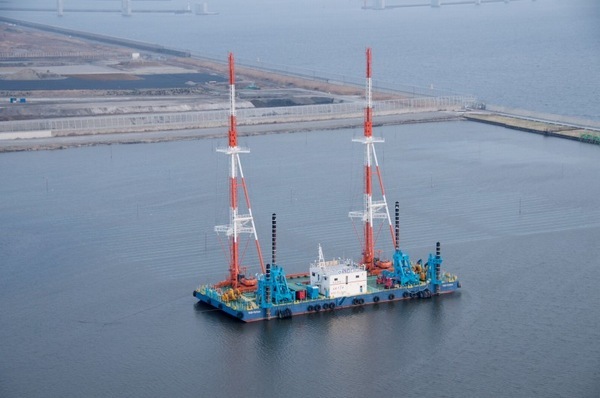 As a result, new capacity has been generated along with consolidation settlement of clayey soil by 2,167,000m3, equivalent to the volume of soils to be dredged in Tokyo Bay for 2.3 years. 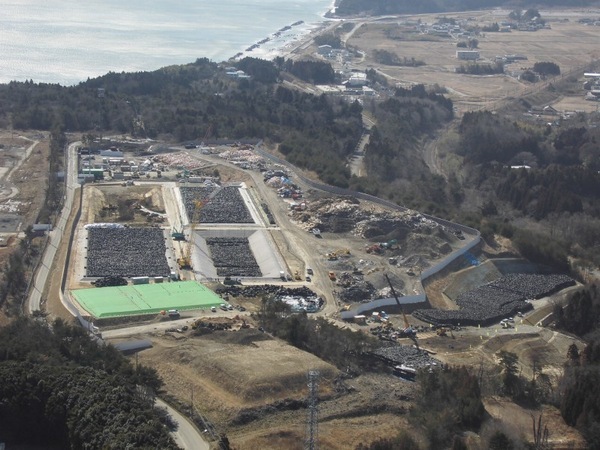 Hirono-machi has been contaminated with radioactive materials derived from the nuclear power plant accident caused by the Great East Japan Earthquake. 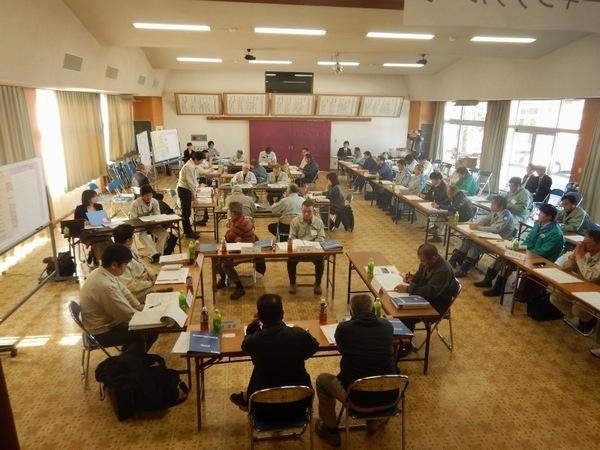 The project aims to bring residents back home early, and succeed in 60 % of the number of households in Hirono-machi to return home within approximately 3 years after the earthquake. As no previous projects have been launched, various technologies have been applied to this project. These technologies enhanced reliability, safety and efficiency of the project, and thus target level of the residents to return home was reached in all measured points. The target level is additional exposure dose to be less than 1 mSv per year. 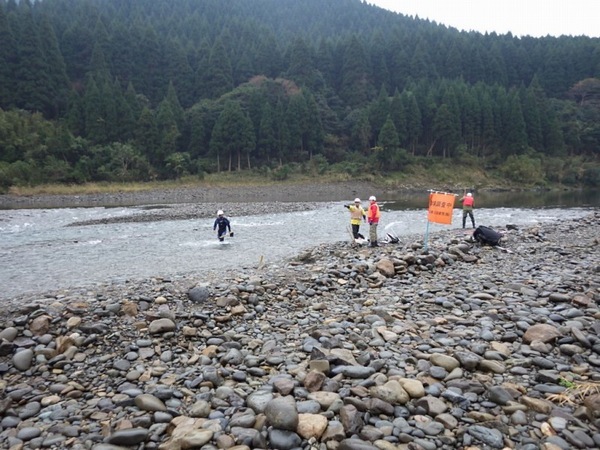 Mimikawa Hydropower Development Office, Kyushu Electric Power Co., Inc.
Mimikawa River Integrated Sediment Management Plan aims to not only resolve various problems caused by sediment but also revitalize the river environment by incorporating a new approach called sediment sluicing. 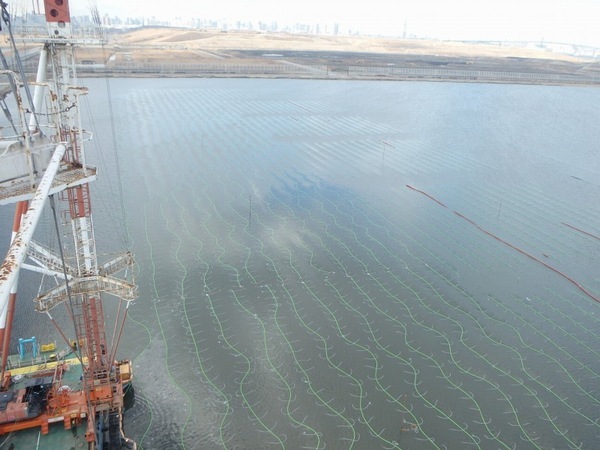 The framework is highly valued for its multi-faceted approach on the effects of sediment on the river. Local officials, private sectors, academicians as well as community members worked together to have a comprehensive evaluation of the neighboring mountains, dams, rivers, and the sea, and implement the common goal of integrated sediment flow management. This government-academic institutions-industry-local communities collaboration is going to exemplify future river projects.